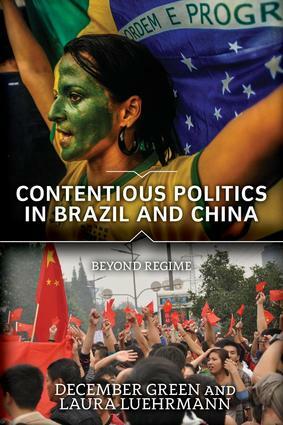 Contentious Politics in Brazil and China: Beyond Regime is a highly accessible and compelling examination of two fast-emerging countries in the global arena. It is not common to see Brazil and China examined side-by-side, but authors December Green and Laura Luehrmann show the utility of this unorthodox comparison: By moving beyond region and regime, this book offers a thought-provoking analysis of two very different countries dealing with many concerns and problems in surprisingly similar ways. With a focus on current issues, Contentious Politics in Brazil and China covers migration, urbanization, criminality, the environment, sexual politics and HIV-AIDS response, foreign policy, and international relations. This text not only illuminates each country's realities more clearly than traditional regional or regime-type comparisons can, but it offers unexpected insights into the study of state-society relations.